Relgion has always been an important part of life. Holland (the Netherlands) has a rich history of Christianity during the sixteenth and seventeenth century. The Protestant Reformation made it a rebellious time, as the Spanish surpressed the religious movements coming forth from the Reformation, such as Lutheran and Calvinist. 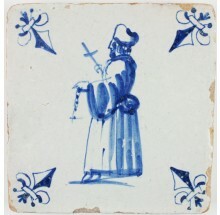 After independence the Netherlands adopted Calvinism as a quasi state religion (although never formally), but practiced a degree of religious tolerance towards non-Calvinists. 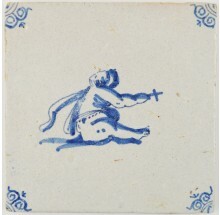 No wonder that Delft tiles made during this period often depict religious scenes or formal leaders. If you have any questions, or if you are looking for a specific kind of scene, please do not hesitate to contact us. Click here to visit our contact page.